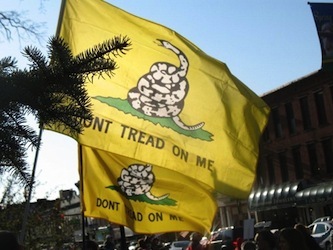 The Tea Party actually represents most Americans, but having been demonized by the ‘main-stream media,’ the ‘drive-by press,’ the ‘lapdogs of Big Government,’ most people don’t know this. A rebranding is called for – a new name, a second chance – like ACORN after James O’Keefe got through with them. Helpful person that I am, I tried to come up with some suggestions. How about the American Federalist Party? No – Federalism may be the bedrock concept of American self-governance, but it’s too quaint for everyday use. We need something snappier. How about the Conservative Party? No – Conservatism is to the Progressive Media as Jihad is to Conservatives. That will never do. Besides, with four syllables, like Republican – these take up precious sound bites. The concept must be simple. For example, take Democrat and Republican. Right off the bat, Democrat has the advantage. People understand democracy. It’s simple, as in Egypt and with Obama – whoever wins gets to tell the other side to go pound sand. Republican, on the other hand, is complex. Our republic is nurtured with civic responsibility. It requires a virtuous and attentive citizenry. Winners are entrusted with protecting the God-given rights of all – winners and losers. Finally, it came to me. The best name was right under my nose the whole time – the Servative Party! Not because, you know, it happens to be my nom de plume (perish the thought! ); but because it’s a totally cool and perfect party name. It’s a big-tent name, featuring the root verb serve that many of the best Twitter handles, bloggers, radio hosts and commentators use in one way or another – yet upbeat and edgy. It unites us all in service to our country. On top of that, I haven’t found any way to turn it into a rude phrase. Even liberals like the idea of service – they just believe that they’re the ones who should be served. Yet government unrestrained will eventually destroy both its benefactors and dependents; so whether server or servee, it’s a cookbook! That’s servitude, not service. Service is how a person earns a living and contributes to society. It is essential for self-governance. It gives each person a stake in the game. Even self-serving contributes to the common good. Freedom depends upon the virtue of service, those who serve – the servative. All-right, maybe the Servative Party is not the best name. Regardless, we still need a party. 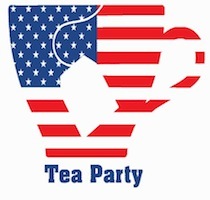 The Tea Party is a loosely-knit federation of individual political organizations – 501(c)(4)s – or they would be if Obama’s IRS would ever approve them. They could coalesce into a national political party without pre-approval of the IRS. These days, this might actually be easier than getting IRS approval. So hell, just do it and get back in the game. 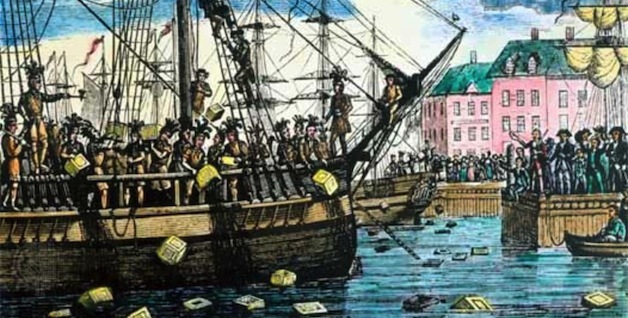 It would take something akin to a Constitutional Convention to bring all these Tea Party groups together, but hey, at least we have a blueprint – if they could do it in 1787 then we can do it today! We might at least reaffirm the concept of back-to-basics, Constitutional self-governance. This is something the Republican Party used to do. Clearly though, the Republican beltway elite have, as they say, flipped-off the Tea Party conservative base, as evidenced by their recent foray into immigration reform, pandering identity politics. We’ve been thrown under the campaign bus by their political consultants. Republicans are now Democrat Light. At least Democrats take us seriously enough to politically repress us. Republicans don’t take us seriously, so we must find a way to get their attention. We are good-natured, but also, we are serious. We need a platform! Why? A statement of principle? No, that’s not it – for fundraising! After that, we can fundraise even more, both from people who want us to stick to our platform and from those who want us to rescind it. What a great scam! I know what you’re thinking – that this is just what the Republican Party does! Well, you’re right … so we shouldn’t do that. States, and the people, must ultimately be responsible for themselves, at least to the extent called for by our Constitution. Federalism is the American Way. Why should we have to remind our political class of this? Apparently, we need to find a way to make them stick to the contract! Support career opportunity and economic freedom through deregulation, repealing and replacing Obamacare , reining in the EPA, and developing cost-effective domestic energy sources. Economic freedom is as important as political freedom. Elitist regulatory regimes and energy policies are weighing like an anchor on the economy and a boot on the neck of the poor. It’s time we create some competition for the Republican Party, embarrass it with clearer, focused, better targeted proposals. Get its attention and force it to take these things seriously. Maybe we can help regain control of this monstrous federal bureaucracy before, like Frankenstein, it destroys its creators. That would be the servative thing to do. How about the Basic Right Party? That’s probably better than the Who Obama Hates Party.